Well… this is certainly the finest example we have restored in over 20 years. Body #5500173 , Engine #5500186 and Chassis #5500027. All numbers are correct and original for this vehicle. Completed by the factory on January 19, 1955 and shipped to the US on January 24, 1955. Special order vehicle. Ennis Berker of Birmingham Michigan purchased the car in the early 1970’s from Bert Kinerk of Tucson, Arizona. The car was used as a daily driver for several years and a complete restoration was begun. The restoration was started and stopped several times but never completed. The car remained off the road and in storage for the next 38 years Dr. Berker reluctantly sold his Gullwing in May of 2011 with the odometer showing just 63,925 original miles to Michael Harling of Dallas Texas. 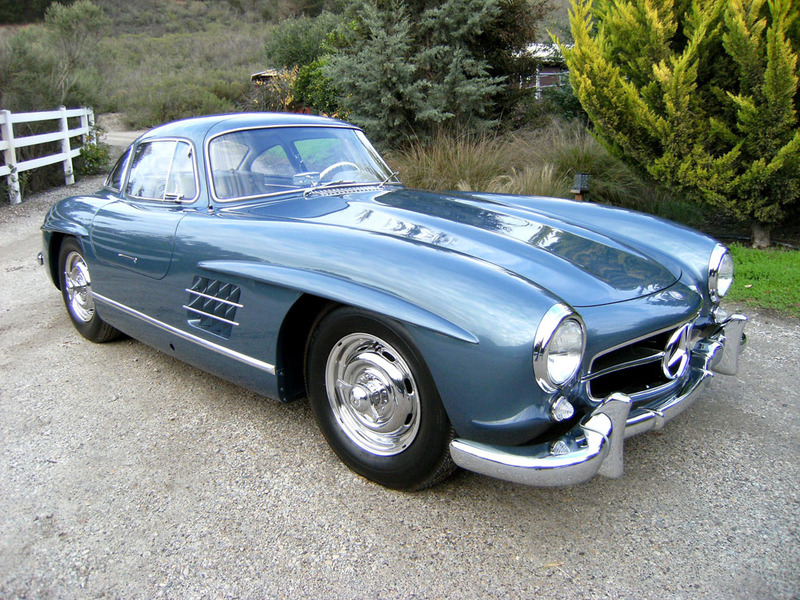 Mr. Harling commissioned 300SL specialist Scott Grundfor to conduct a 100 point body off “Show” restoration. The restoration entailed over 4,000 hours to complete. The car was completed in February of 2014. It was shown at the Amelia Island Concours d’Elegance in March and was awarded a First Prize. 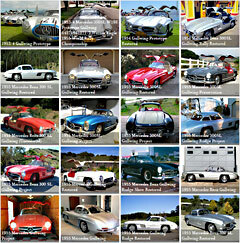 Subsequently it was shown at the Concours d’ Elegance of America at St. Johns and won the coveted “Mercedes Benz” trophy. At the Beverly Hills “Greystone” Concours and Santa Fe Concours d’ Elegance it was again awarded the First Prize. The Gullwing is finished in DB 396 Blue Metallic complementing the original Roser 955 Light Gray Leather and correct Gray German wool square weave carpeting and correct light gray wool headliner. The car retains the full “original” belly pans and “original” Rudge Knock off wheels, tools, jack and K/O hammer and a set of fitted matching luggage. Factory special ordered with Rudge Knock Off Wheels and the Becker “Le Mans” multi band automatic radio. It also has the Mercedes Benz Classic “Zertifikat” of Manufacture. Retains the rare original concave grill. 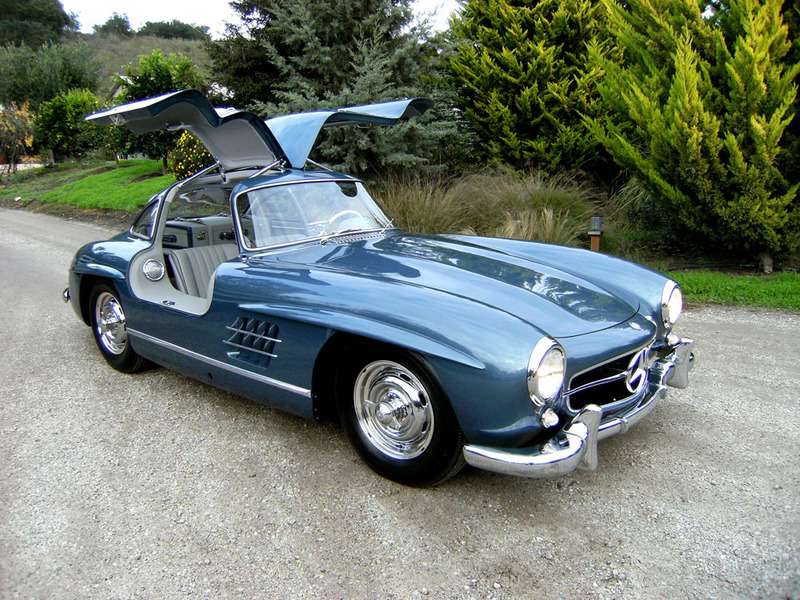 Without a doubt, this stunning Gullwing is one of the finest restored examples extant.